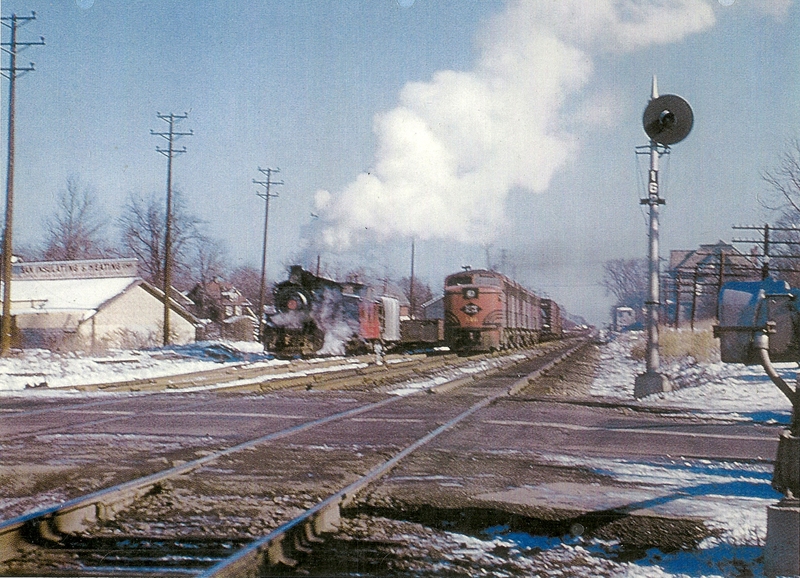 The Rahway Valley Railroad's interchange with the Lehigh Valley Railroad (LV) was a vital connection that the RVRR depended on for many years. The connection was originally forged between the LV and the New York & New Orange Railroad in 1898. At least on two occasions the Lehigh Valley Railroad expressed interest in purchasing the Rahway Valley Railroad. 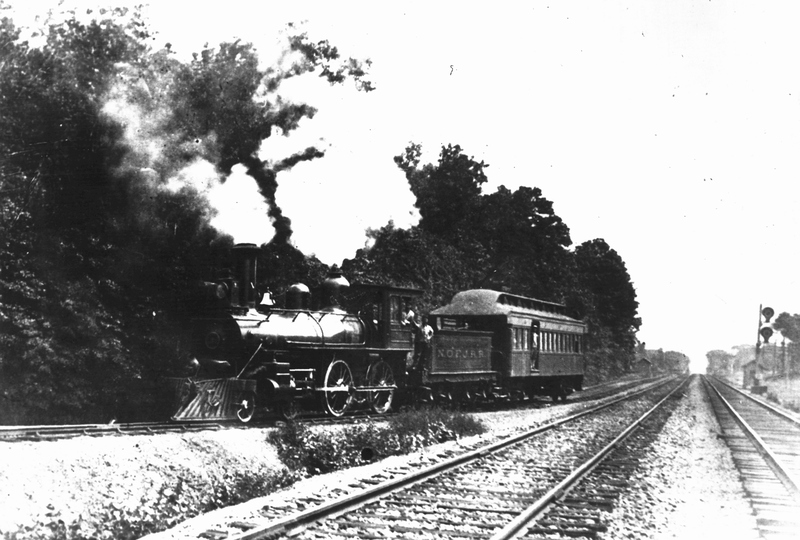 The LV first expressed interest c.1902-1905 when the railroad was still operated as the New Orange Four Junction Railroad. 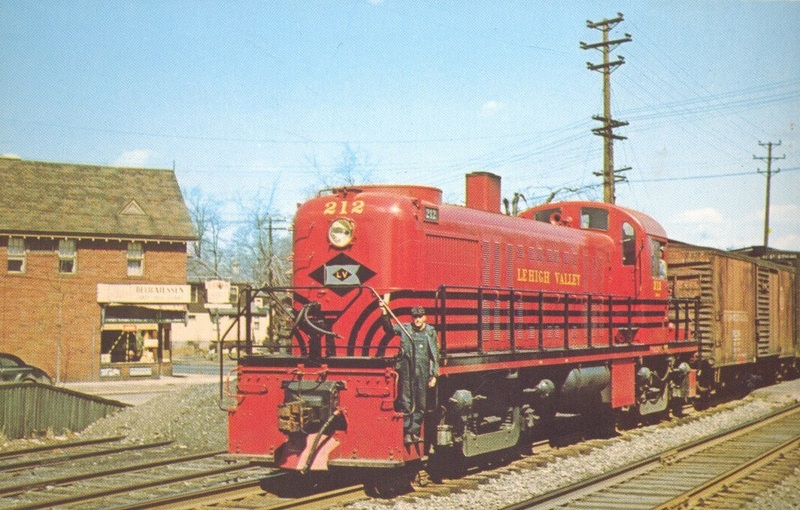 The second time the LV expressed interest in purchasing the Rahway Valley Railroad was in 1928. On both occasions the LV commissioned studies and reports, but in the end decided against purchasing the railroad both times. 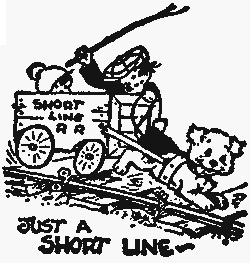 The LV determined it was already getting as much revenue out of the railroad as possible. This connection remained vital for the little Rahway Valley, even after the LV was absorbed into Conrail in 1976. The interchange yard was even upgraded to heavier rail in the late 1970's. Only after the RVRR was purchased by the Delaware Otsego Corporation did the interchange close. The DO, in an effort to consolidate operations with its Staten Island Railroad, moved the RVRR's primary interchange to the former Jersey Central interchange at Aldene. The former LV interchange was closed in April of 1988, the track eventually torn up . This 1906 map shows how simple the track layout was at the LV/RV interchange early on. Missing from the map is the crossover, connecting the interchange track and the LV mainline. The New York & New Orange Railroad constructed its Lehigh Valley Branch in c.1897-1898 to connect with the Lehigh Valley Railroad (LV) at Roselle Park (see next paragraph regarding town name). Interestingly, the LV constructed a short spur to connect with the NY&NO. The LV tracks extended to just a few rail lengths past the W. Webster Ave. grade crossing. At the time of the NY&NO's construction, Roselle Park, as a municipality, was not yet in existance. This area remained a part of Township of Union until March 22, 1901, when the Borough of Roselle Park was created. The area of Roselle Park had utilized the Roselle Post Office prior to 1901, rather than the more distant Union Post Office. The Borough of Roselle had been carved out of Elizabeth in 1894. The earliest interchange yard here was a rather simple one. 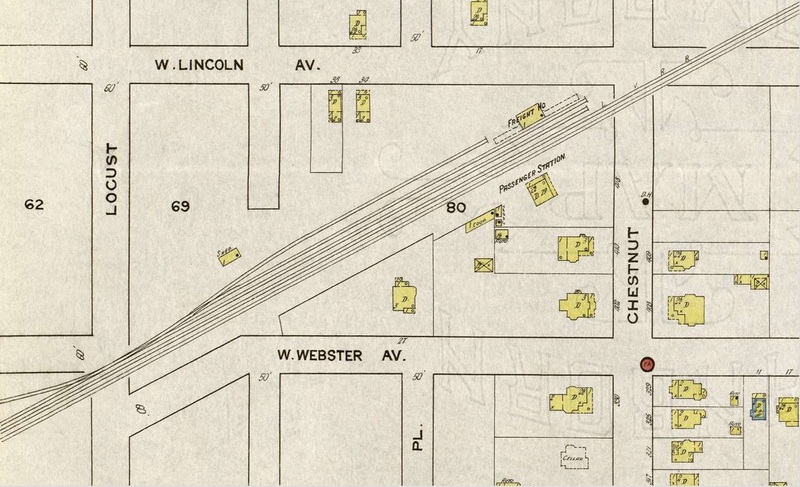 A single track ran paralleled the grade level two-track LV mainline from west of Locust Street, all the way to a terminus along Chestnut Street at the freight house. There was a single crossover between the interchange track and a track of the LV mainline. The NY&NO became the New Orange Four Junction Railroad in 1901. Interchange movements at Roselle Park remained considerably light. Only 1,110 tons of freight were interchanged here in 1900, but spiked to 7,243 tons in 1901 due to factories being constructed in New Orange. The Lehigh Valley grossed $912.00 in October, 1901 and $974.00 from freight interchanged here. 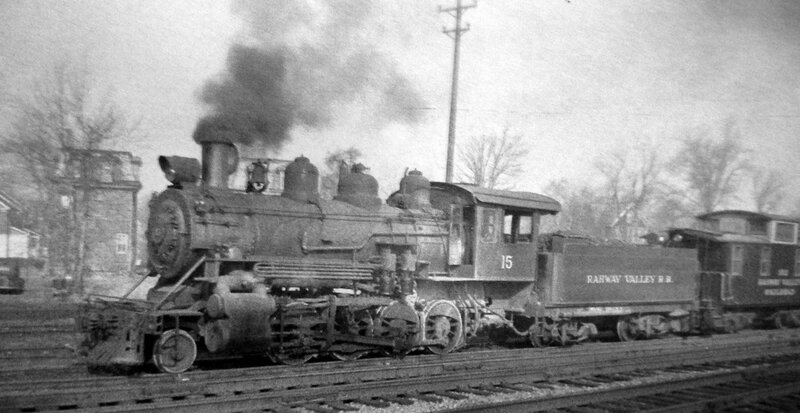 The NOFJ was consolidated with the newly formed Rahway Valley Railroad in 1905. 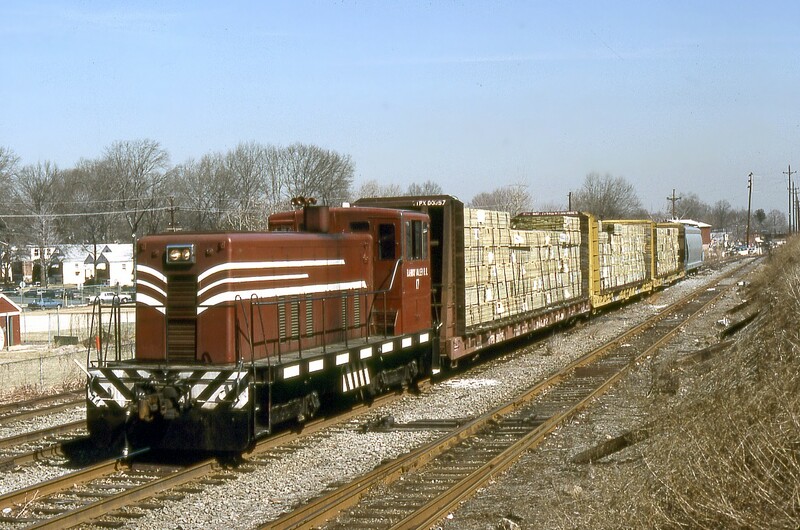 With increasing freight being moved over the RVRR, more freight was interchanged with the LV. The former one track interchange grew to three tracks by 1915. In this very early view, c.1901-1905, we see NOFJ #3 and her lone combine leaving the Lehigh Valley Railroad interchange and heading toward Kenilworth/New Orange. At this time, and for decades after, the Lehigh Valley was a level, at grade, route through this area. Only years later was the line elevated, as it is today. Springfield Public Library. AT ROSELLE [PARK], N.J., FOR THE FISCAL YEARS ENDING NOV. 30, 1900 AND NO. 30, 1901. This Sanborn map shows the RV/LV interchange yard in 1915. Rahway Valley trains entered the interchange yard on a single track further west than the view this map gives. 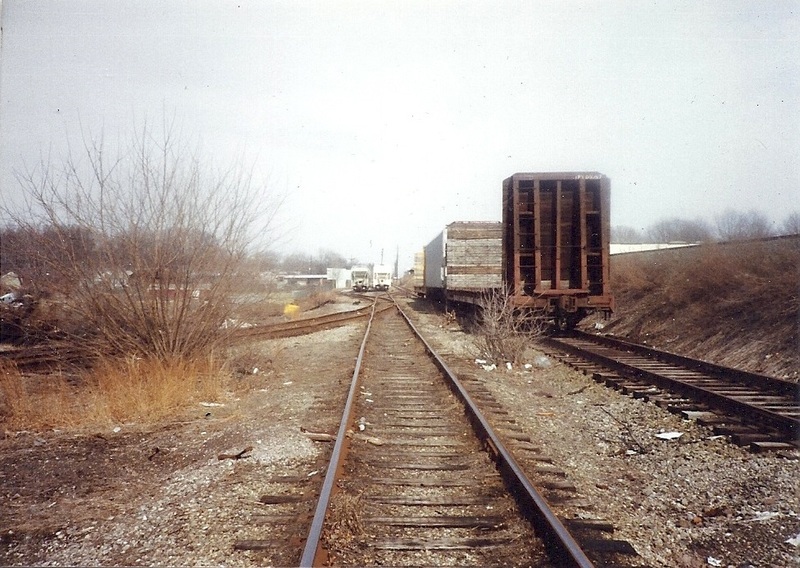 The track splayed into a three track interchange yard that terminated at the Freight House on Chestnut Street. The freight house is now the location of the parking lot for the current Roselle Park train station. The original Lehigh Valley Roselle Park train station sat opposite the tracks from the freight house. The two southern tracks are the grade-level Lehigh Valley mainline, they were elevated much later on. 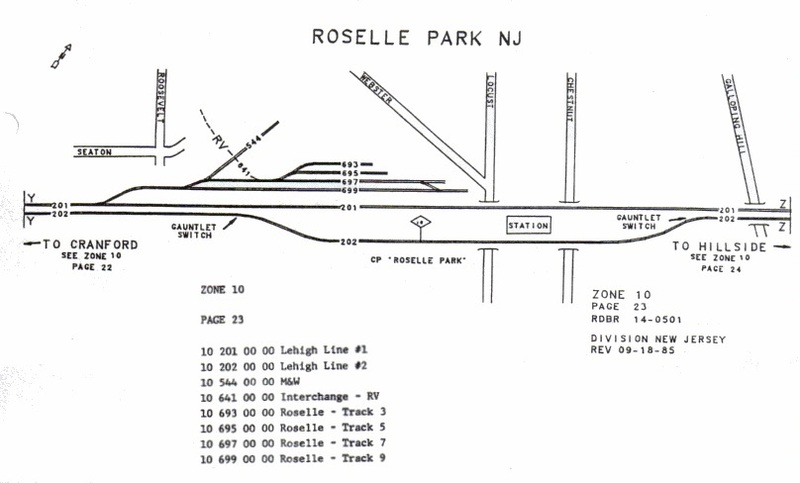 During the era of the Rahway Valley Railroad, and before theAldene Plan was implemented, the RV/LV interchange tracks extended all the way to Chestnut Street in Roselle Park, where they terminated at the freight house immediately across from the passenger station. Rahway Valley trains would enter the Yard Limits just south of the W. Webster Ave.grade crossing. Thence trains headed along a single track until reaching Locust Street, after that grade crossing the one track splayed into a three track interchange yard (between Locust and Chestnut Streets) where the Rahway Valley delivered and received carloads with the LV. 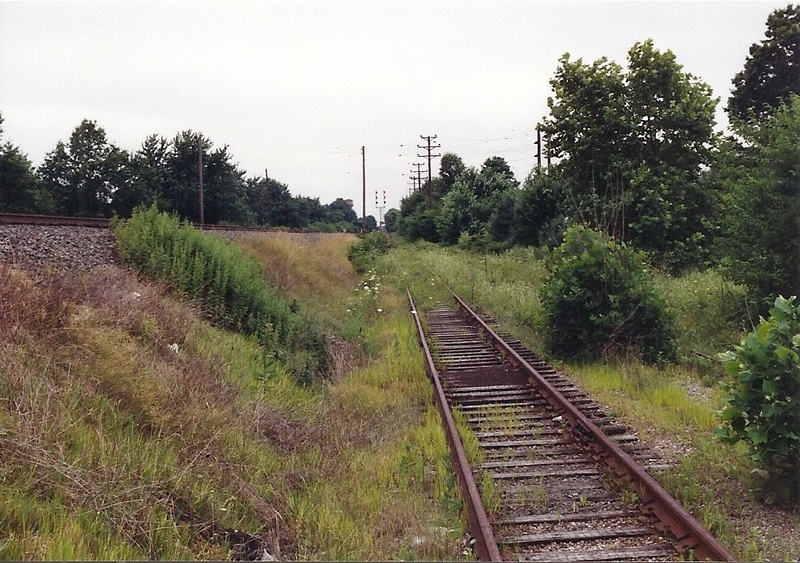 Before the beginning stages of the Aldene Plan were implemented in the mid-1960s, the Lehigh Valley Railroad was at street-level through this area. 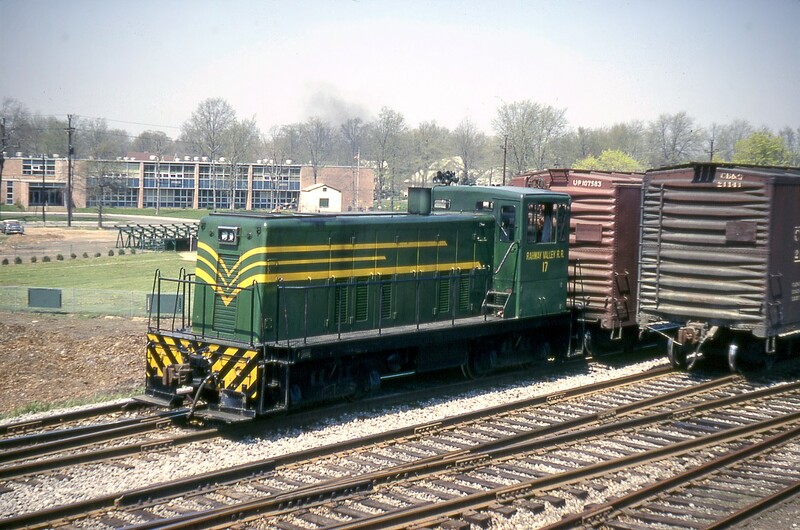 #13 is seen here at the Lehigh Valley interchange yard in Roselle Park in the days when it extended all the way to Chestnut Street. In later years the interchange yard was cut back to just short of Locust Street. 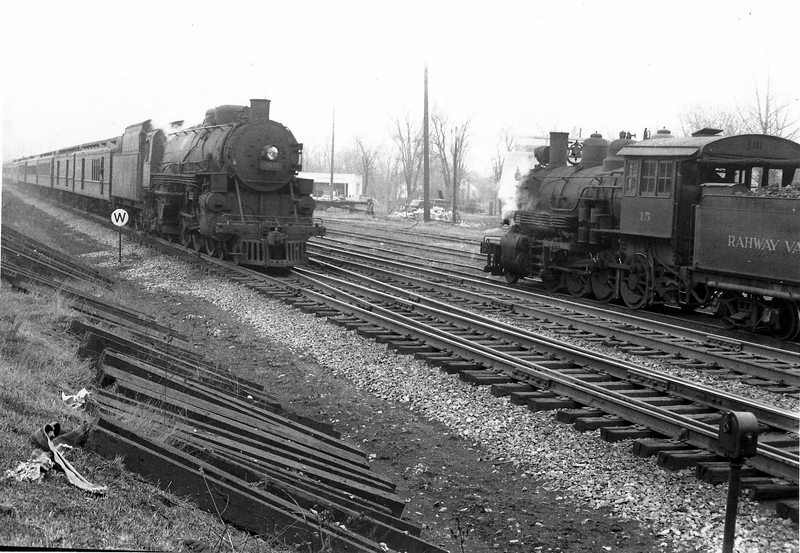 #15 and Caboose 102 are seen here at the original RV/LV interchange at Roselle Park. The two tracks in the foreground are the mainline tracks of the Lehigh Valley. Today, the old Lehigh Line is elevated and the former interchange is the parking lot of the present day Roselle Park Station which was constructed as part of the Aldene Plan. 1/19/1951. Collection of Thurlow C. Haunton, Jr.
#15 and Caboose 102 have made their pickup at the RV/LV interchange at Roselle Park and begin their journey towards Kenilworth. The two tracks on the far right are those of the LV's mainline. 1/19/1951. Collection of Thurlow C. Haunton, Jr.
A Lehigh Valley Passenger Train meets the Rahway Valley. Collection of Jeffrey J. Jargosch. Photo repair by Michael Kaplonski. #15 and Caboose 102 meet a Lehigh Valley Railroad ALCo A-B-B-A set at the interchange in Roselle Park on this cold winter's day. The street in the foreground is Locust Street. The original Roselle Park Station can be seen on the far right. The sign on the building at the far left reads "Suburban Insulating & Heating Corp." March 1952. Photo taken by Dr. L. Leggett. Collection of Jeff Jargosch. Here we see LV ALCo RS-3 #212 heading westbound, having just crossed Chestnut Street. The two tracks on the far left are the RV/LV interchange tracks, which terminate under the ballast pile. Note the difference in the size of tracks between the interchange and the mainline. Statement showing traffic delivered to and received from the Rahway Valley R.R. Co. at Roselle Park, N.J. for the years 1924 to 1928 inclusive. Statement showing the names of principal industries located on the Rahway Valley Railroad and the number of cars which the Lehigh Valley R.R. delivered to and received from them in the month of June 1929. This map shows the RV/LV interchange yard as it would appear after the Aldene Plan was implemented. The yard, previously between Locust and Chestnut Streets, would be moved to the west of Locust Street. The LV mainline is to be elevated and the grade crossings are all to be eliminated. A new passenger station will be constructed between the two tracks of the LV mainline with a gaunlet switch to be installed on Track #2.Collection of Steve Lynch. The Aldene Planwas implemented on May 1, 1967. 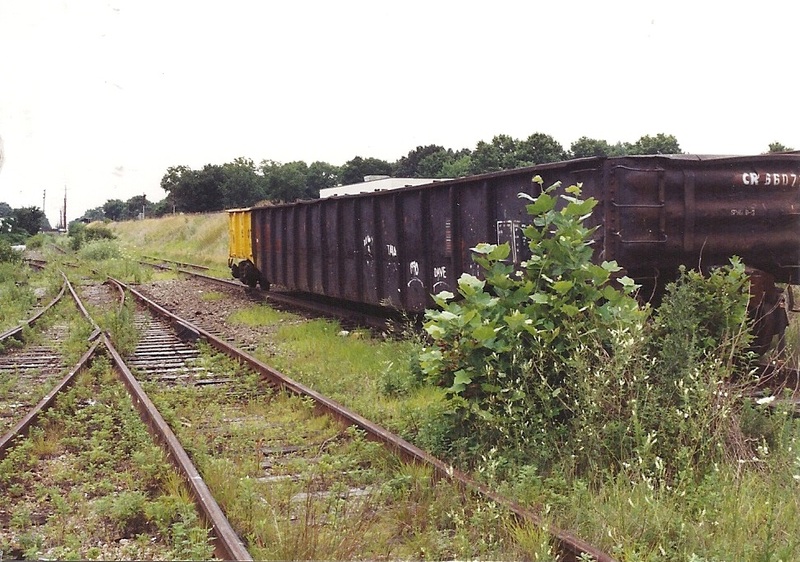 A connection was forged between the Central Railroad of New Jersey and Lehigh Valley Railroad at Aldene. This was done to reduce costs for the ailing CNJ, by allowing them to close their Communipaw Terminal in Jersey City. All CNJ passenger trains were then directed over the LV to Newark Penn Station. There were several issues with this plan however. The LV mainline between Aldene and Newark had several grade crossings. The increased rail traffic from the CNJ passenger trains would have wreaked havoc at these busy grade crossings. So, as part of the Aldene Plan the LV mainline was elevated so that all grade crossings between Aldene and Newark would be eliminated. This planned elevation of the LV main would affect the LV/RV interchange. The main interchange yard was located between Locust and Chestnut Streets. The new plan called for an interchange to be developed west of Locust Street; all interchange tracks east of Locust Street would be removed. This new, small but adequate, interchange yard consisted of four tracks. A connecting track, on the east end of the yard, would go up to connect with the newly elevated LV mainline. (See the interchange yard map above). The LV/RV interchange remained vital to the Rahway Valley Railroad, eventually capturing a reported 88% of the RVRR's interchange traffic. 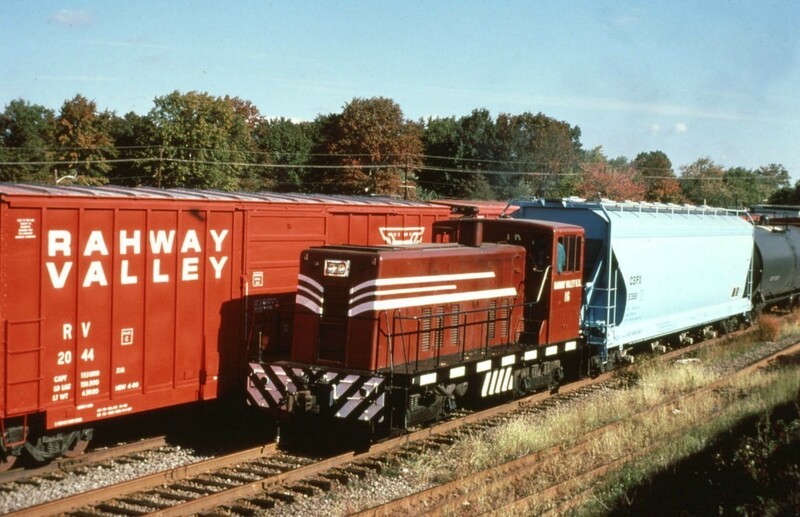 Conrail was formed in 1976 which merged the Rahway Valley's three connecting railroads, the Erie-Lackawanna (former DL&W), the CNJ, and LV, among others, into one company. This, in effect, gave the Rahway Valley only a single interchange partner, with connections in three seperate locations. The former LV/RV interchange became the preferred connection with the newly formed Conrail. 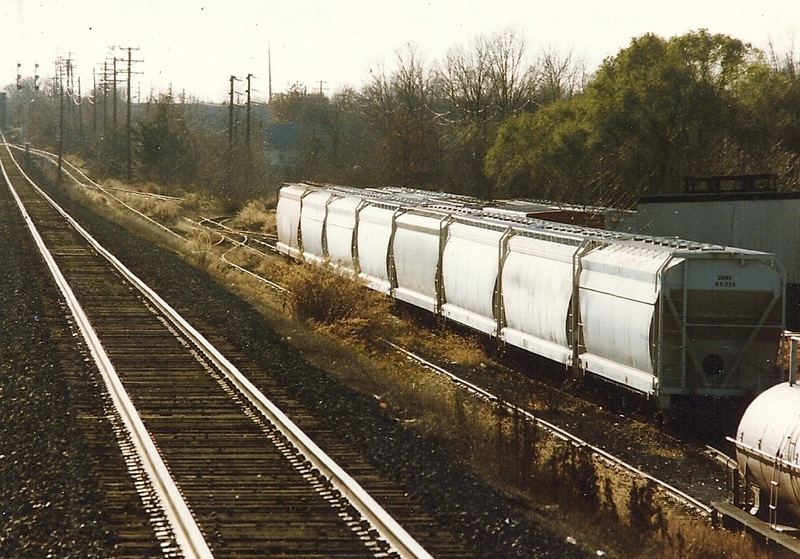 Bernie Cahill even obtained federal funding to upgrade this yard to heavier rail in 1979. The line between Kenilworth and the former LV/RV interchange became the most well maintained trackage on the entire Rahway Valley. 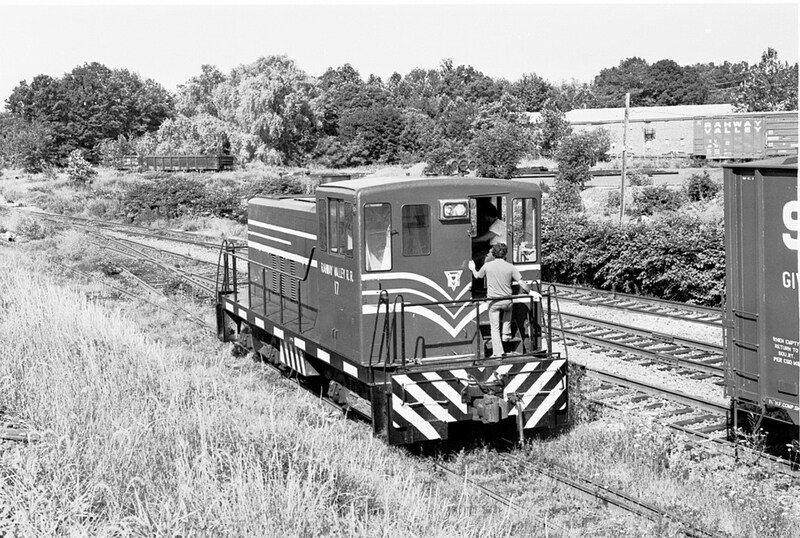 The Delaware Otsego Corporation took over the operations of the Rahway Valley in April, 1986, eventually purchasing the railroad that December. 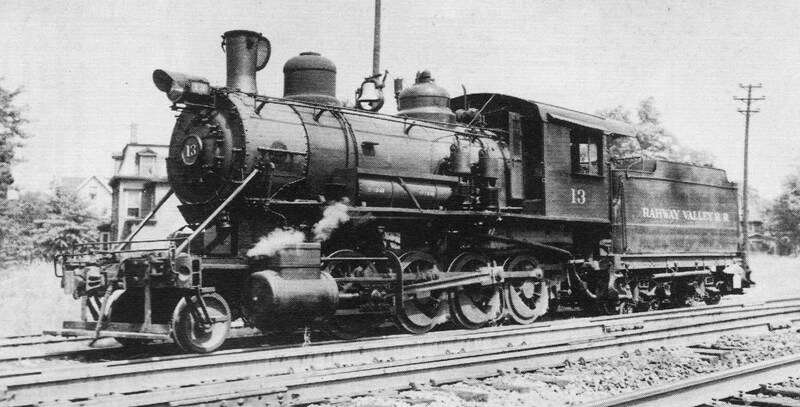 The DO also operated the Staten Island Railroad which it accessed via Cranford Junction. In an effort to consolidate operations and cut costs, the DO switched its main Rahway Valley interchange point to the old CNJ/RV juncture at Aldene.This allowed the DO to utilize only one crew to operate the Staten Island and Rahway Valley, with a single train called 'RV-1.' The former LV/RV interchange, now unused, was closed in April of 1988, with the interchange yard eventually being torn up. #17 switches cars at the Lehigh Valley interchange. Note the Roselle Park High School in the background. 6/1967. Collection of Paul Carpenito. 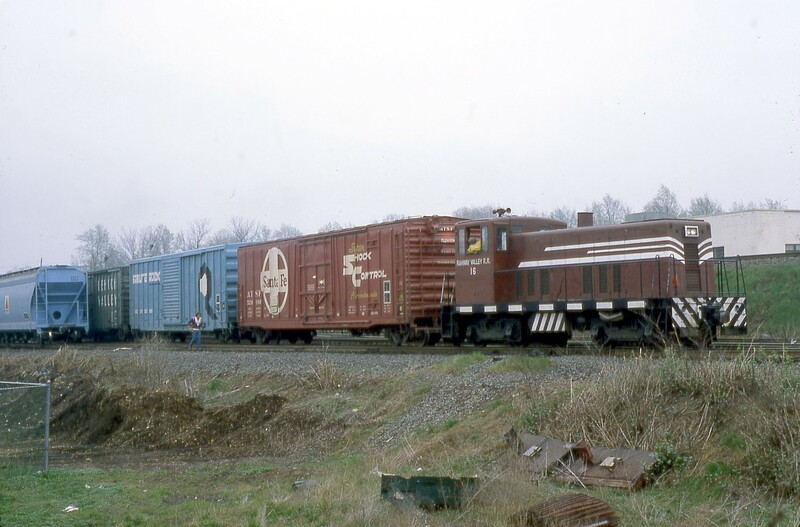 #16 moves a pair of Lehigh Valley boxcars around the interchange yard in this view. The Roselle Park High School can be seen on the left. 8/28/1975 . #16 works the Conrail (former Lehigh Valley) interchange yard in this 1978 view, taken from the elevated LV mainline.Photo taken by Carl Perelman. #16 is seen here rolling out of the Conrail (former Lehigh Valley) interchange yard and begins her journey towards Kenilworth. The track in the foreground connected to Conrail's elevated Lehigh Line. 11/1/1978. Photo taken by Carl Perelman. 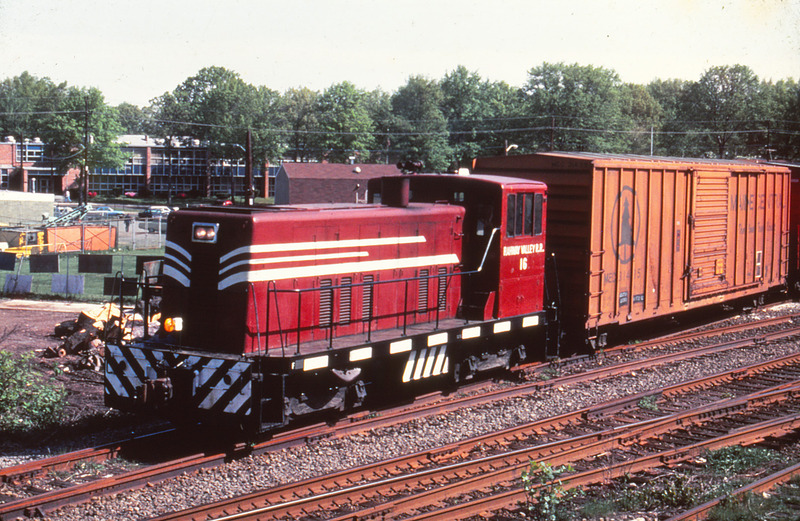 #16 is seen here switching cars at the Conrail (former Lehigh Valley) interchange. The elevated Lehigh Line can be seen in the background, behind #16.Photo taken by Paul Carpenito. 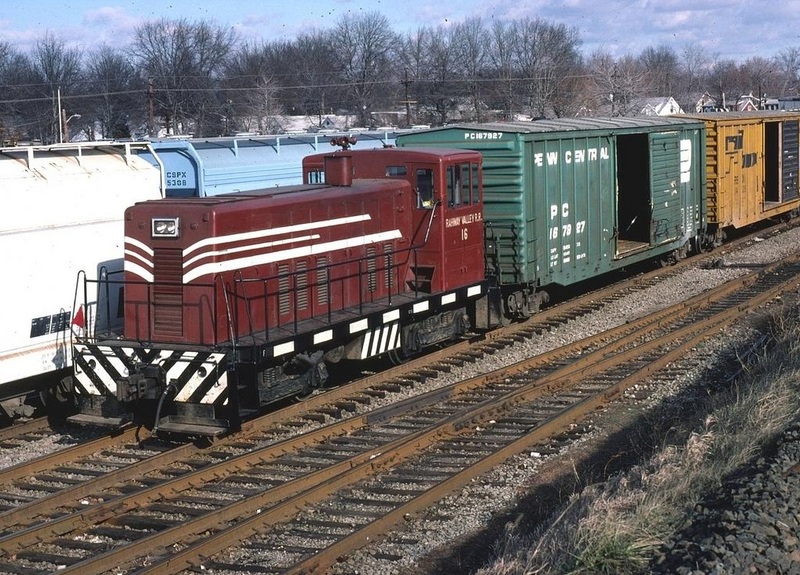 #16 switching the old Lehigh Valley interchange, now Conrail, in this early 1980s view. The old Lehigh line is the elevated embankment on the right. Note the updated track and the Rahway Valley's bright red box cars on the left, another Cahill move. Lehigh Line in Roselle Park. 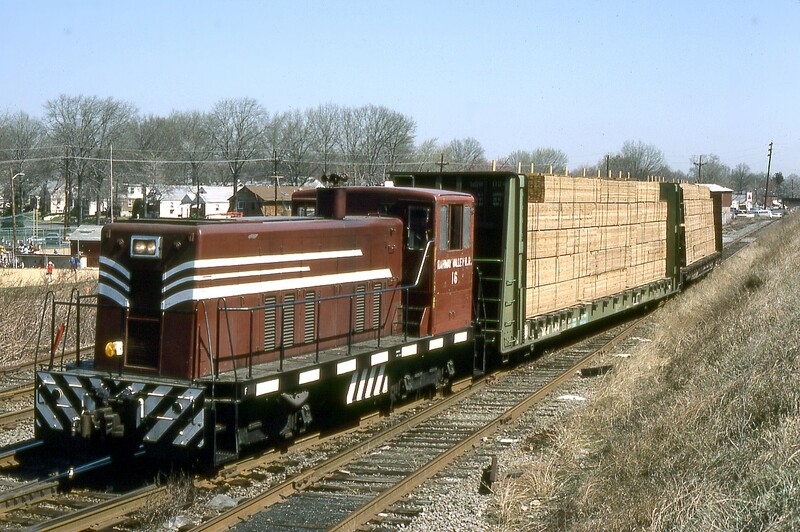 #16 disembarks from the old Lehigh Valley interchange with two carloads of lumber, probably bound for Ply-Gem or Jaeger Lumber in Union. April 1988.Photo by Carl Perelman. In a similar scenario, #17 leaves the interchange with Conrail with three carloads of lumber and a hopper most likely filled with plastics for Monsanto Corp. in Kenilworth. March 1988. Photo by Carl Perelman. 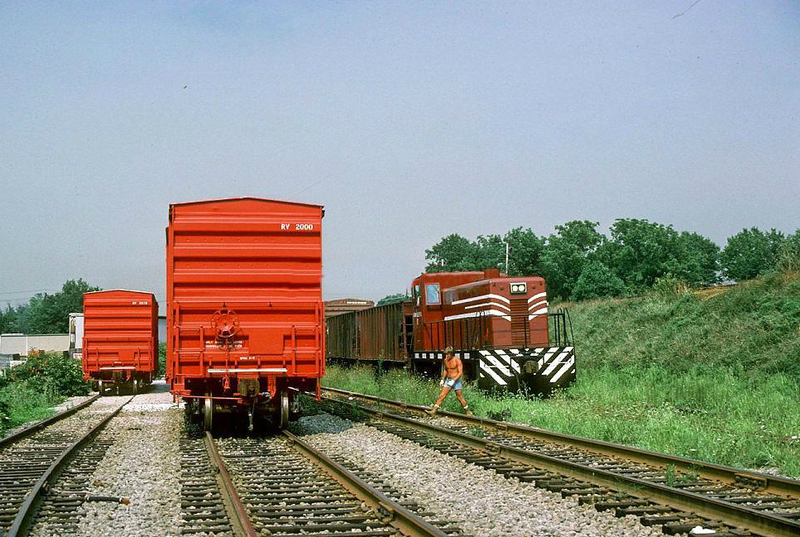 Another view of #16 switching the junction in the 1980's. Roselle Park High School can be seen in the upper left hand corner of the photo. #17 at the ex-Lehigh Valley interchange. 7/21/1982. 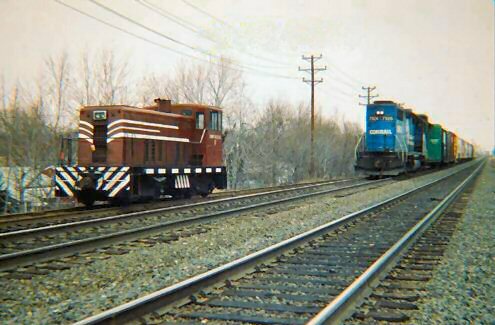 The Rahway Valley meets Conrail on the old two track Lehigh Line. Looking into the interchange yard from atop Conrail's Lehigh Line (ex-Lehigh Valley RR). Photo taken by Jeff Jargosch. Looking northeast at the RV/Conrail interchange. Photo taken by Jeff Jargosch. The RV/Conrail interchange in 1990. The interchange itself had been closed since 1990, but the rails remained in place. 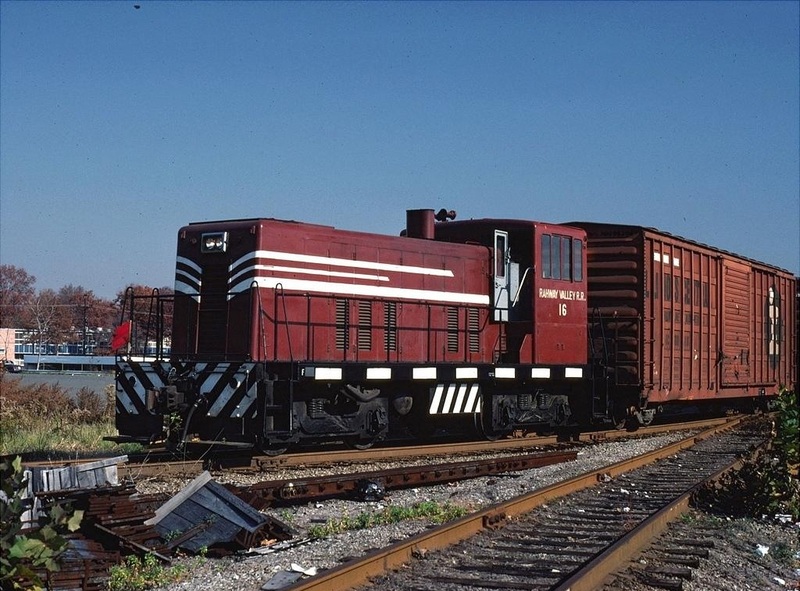 Conrail had this lone gondola here, the interchange yard was their property after all. Photo taken by Peter Thornton, courtesy of Don Maxton. Looking southwest. Photo taken by Peter Thornton, courtesy of Don Maxton.